Iâ€™m so honored to have Sharon Melton Lippincott as my first guest. 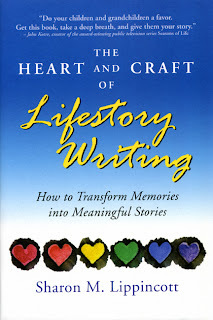 We met a few months ago when we both participated on a Google+ hangout, and we have found a mutual connection regarding memoir and lifestory writing ever since. Sharon wrote a wonderful review of my memoir, Leaving the Hall Light On for the Story Circle Book Reviews, which Iâ€™m sure helped catapult it to the Story Circle Editorsâ€™ book pick for November. Thank you so much, Sharon, for being here today. And that you chose to write about reading my book is a huge bonus! About five years ago I responded to a challenge and began posting reviews of books on Amazon and other sites, unaware that doing so would change the way I read and ultimately the way I write. Over sixty reviews later, I can honestly say that the enjoyment and value I get from reading has at least tripled. The first chapter reminds me of leaves swirling in a whirlwind before they come to rest, or puzzle pieces awaiting assembly. I was instantly swept into the nightmarish scene that forms the heart, the core, of this book. It appears that life previous to this scene spirals inward toward the horror that began on this day. Everything after spirals out beyond, but all of Madeline’s subsequent life is anchored to this moment. The shocking start instantly introduces Paul, the focus of the book, then she jumps directly into the bookâ€™s present. From there she circles back to the time of Paulâ€™s birth, essentially laying out a map of the story, bit by bit. She summarizes her thoughts, explains the title, and summarizes the situation with a story. I was energized at the conclusion of the final poem, and eager to learn more. This is a chapter of fragments, pieces of a puzzle laid out to show us the range of the story. The rest of the book fits them together. Emotion swirls as rapidly as events, mixing joy, guilt, rage and love with abandon. I experience the added richness the photo and poems lend to the pulsing narrative, bluntly introducing truths and paving the way for further discussion. Moving through subsequent chapters I discover that this book has an unusual structure: each chapter has a theme that could stand on its own. Each chapter is a spoke, connecting the core of the story with the larger picture. I notice how she gradually develops Paul as a character, showing a bit of him here, a bit there; ultimately I feel as if I also knew him, achieving one of her primary purposes. I notice that this structure calls for some material to be told two or three times, sometimes from alternate perspectives, sometimes seeming a bit repetitive. I pay close attention to the way she writes about her initial state of denial, virtually gutting her psyche and laying it out for our inspection. What courage, I think. She not only lived through this once, she lived through it again in the writing. I admire the way she uses snippets of her husbandâ€™s journals to allow him to give his own perspective, which cleverly works around the memoiristâ€™s dilemma of not being able to put words in someone elseâ€™s mouth. She also uses input from her son Ben to circumvent traditional limitations and enrich her story. Rather than continue, I leave the rest of the book for you to explore, hopefully with more insight as you think about reviewing it. Perhaps you can tell that reading has acquired a third dimension, introducing depth and meaning Iâ€™d previously sensed only vaguely, if at all. You can read the review I ultimately wrote here. 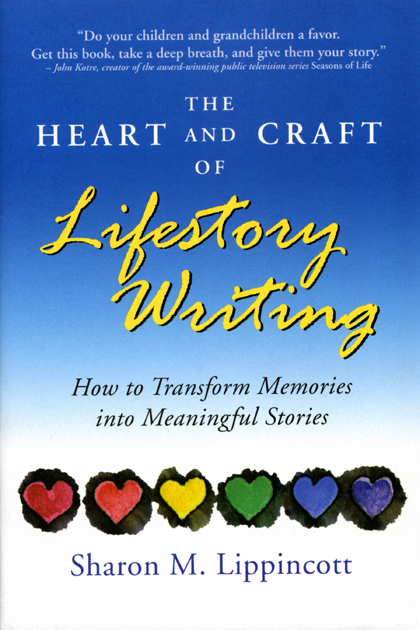 “You make me think!” When she hears this line, Sharon Lippincott, author of The Heart and Craft of Lifestory Writing, knows she’s been successful. Her insightful questions and observations have challenged people in many areas for decades. Today they are primarily aimed at students in her lifestory and creative writing classes along with readers of her blog, forum posts, book reviews, and other publications. 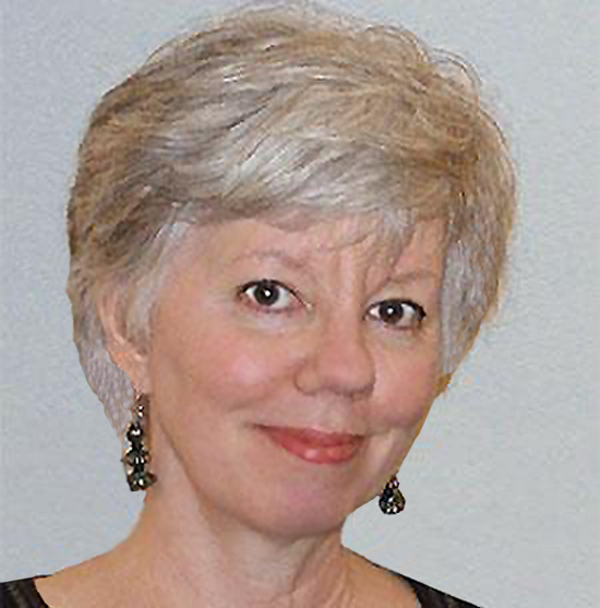 Sharon serves on the Advisory Board of the National Association of Memoir Writers, cohosts the lively Life Writers Forum on YahooGroups, and advises the Allegheny County Library Association on their project to implement lifestory writing groups in county libraries. She frequently appears as a panelist on the Indie Authors webcast, and lives and writes in Monroeville, PA. Sharon maintains her own blog, The Heart and Craft of Life Writing. Sharon, This is a fascinating analysis of Madeline’s stunning memoir. You have turned a book review into an art form! Having already read ( and loved)this memoir, I find I am looking at it with new eyes through your razor-sharp insights and witty spin on story structure and events. Your “third dimension” does add depth and meaning to the story. Thanks for showing us all how doing book reviews can help deepen our own reading and writing experiences. Thank you Kathy. When writing the post I forgot to urge all readers to begin reviewing books themselves. Joining the ranks of legitimate reviewers is the best way of helping combat the sock puppet, paid review mills, and carpet bombers who are making a mockery of the review process. But most of all, you’ll get way more out of your reading once you begin reviewing. I agree with Kathleen, Sharon: ‘You have turned a book review into an art form.’ Madeline’s memoir is one of my treasures; now, so is your review of LEAVING THE HALL LIGHT ON. Touched me in the deepest of places, re-engaging me with the substance of Madeline’s journey. Thank you everyone. I’m so glad Sharon’s post has gotten so much attention today. I’m already thinking of planning another guest post blast. Sharon, I cannot find any way to say it, except that I wholeheartedly agree with Kathy and Dody — “You have turned a book review into an art form.” Thank goodness I had just pressed “schedule” on my review of Madeline’s book coming out on my blog tomorrow, or I would have felt so inadequate to the task. I too love Madeline’s book for several reasons mentioned in my review, but you have tempted me to head back and re-read using different eyes and senses. Thank you! Dear Karen, Thanks for sharing your review experience. I hope you’ll do more and then get started inviting guests to your blog. It’s always nice to change the perspective a bit.